Have you flipped your favorite skin care lotion or cream jar and tried to read the ingredients that go into it? These days, with so much awareness about harmful chemicals and their side effects on the skin, many women are waking up to the benefits of natural ingredients and home made solutions for their daily skin care regimen. One such ingredient is Jasmine Green Tea- it packs the benefits of green tea with a hint of delicate jasmine flavor- a killer combination to not just great skin but also a relaxed mind. Let us see how Jasmine Green Tea can give you great skin. 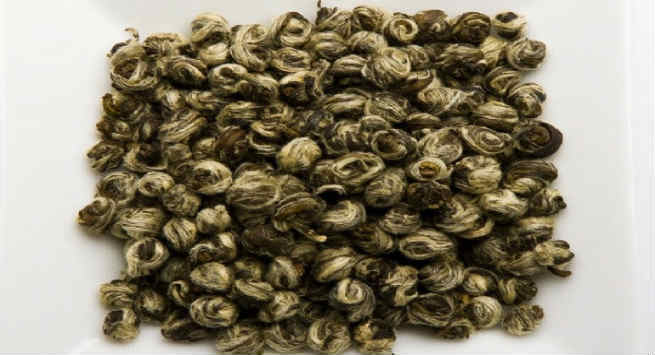 It is green tea with a subtle jasmine fragrance, coming from the use of natural jasmine flowers in the tea. It was first brewed in China many centuries ago and continues to be consumed even today. How is Jasmine Green Tea beneficial? Breathing in the fragrance of jasmine is proven to be calming to the mind. A relaxed mind naturally means lower stress levels and great skin. The tea is rich in catechins which are antioxidants that help in fighting the signs of aging and reducing inflammation. So drink up some jasmine green tea for youthful and inflammation free skin. It helps in flushing out toxins from your body, leading to a healthier system. The tea also inhibits the growth of harmful bacteria. This way, it can be your natural guard against infections. How to brew Jasmine Green Tea? You can buy Jasmine Green Tea at your nearest supermarket. You will either get loose tea leaves or tea bags. To brew the tea, heat water to about 190 F, just below boiling point. Then steep a tea bag or half a teaspoon of tea leaves in this water, for about ten minutes. Strain and drink up for good health. As a drink- Brew jasmine green tea and drink it twice a day to improve metabolism and flush out toxins from the body. It also helps in easing your stress levels, automatically helping you achieve an enviable body and skin. As a splash- Brew again with leaves left over after you have consumed the tea. Cool this water and use it to rinse your face. It will immediately refresh your skin. To treat acne- Take strong freshly brewed jasmine green tea and topically apply it on acne ridden skin. Allow it to completely dry before washing it off. This helps in controlling any inflammation or infection in the skin. To minimize pores- Freeze fresh jasmine green tea in your ice tray and run the ice cubes on the face before dabbing on your make up to not just minimize pores but also to rid them of any bacteria. It also makes your skin smell great! To treat sunburn- Always keep a small bottle of jasmine green tea in the fridge when you step out in the sun. When you return, splash your face with the chilled tea to get immediate relief from sunburn. As a medium for face packs- What better way to get the most out of jasmine green tea than a face pack? Use it in place of water to make a paste with sandalwood powder or fuller’s earth. Apply the paste liberally on the skin. Wash after it dries out. The pack controls the shine on the skin and also prevents acne.